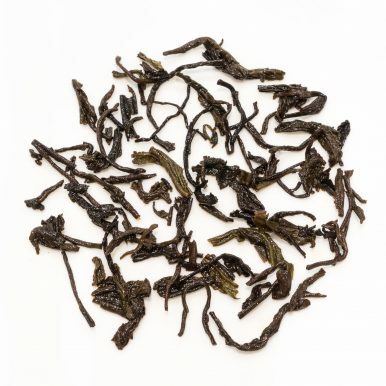 King Pu-erh is a very fine aged loose leaf pu-erh from Yunnan Province of China. It has a dark rich liquor full of woody and earthy flavours, with no astringency. King Pu-erh (王普洱) is another pu-erh that we have carefully selected to feature in our shop as it makes a great introduction to the world of pu-erh. 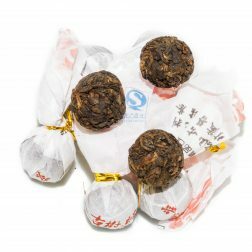 Pu-erh is a type of tea that undergoes unique processing distinct from black tea, and is most commonly referred to as ‘dark’ tea in the West. 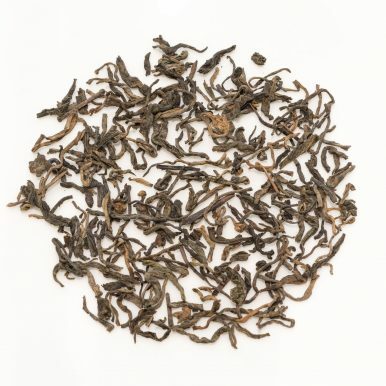 Many varieties of pu-erh are produced and it is a particular speciality of Yunnan Province, which is where this King Pu-erh tea comes from. 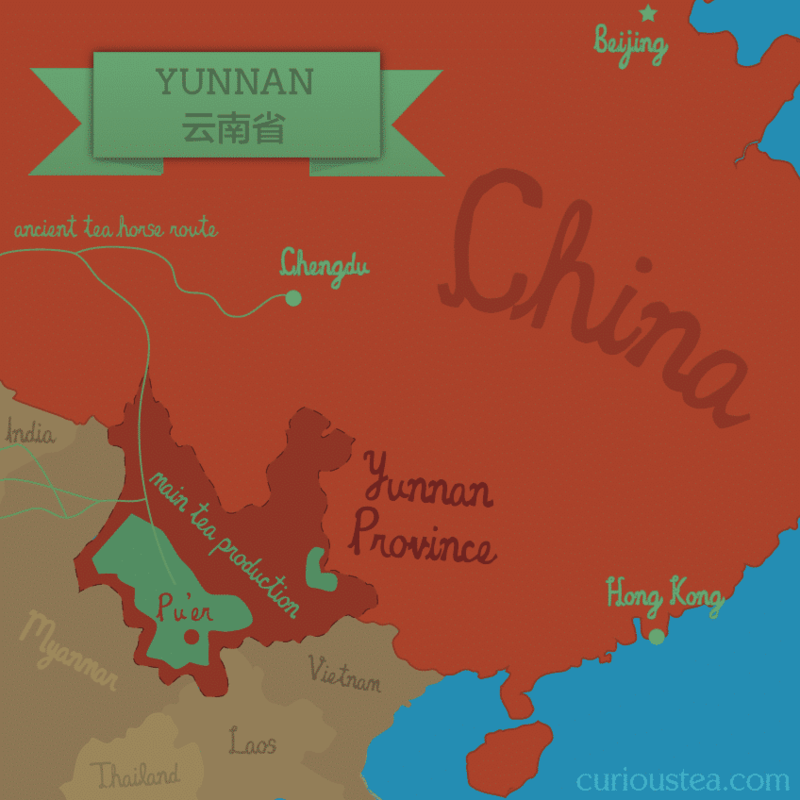 The name Pu-erh comes from Pu’er, which was an important place for tea trading in ancient China. 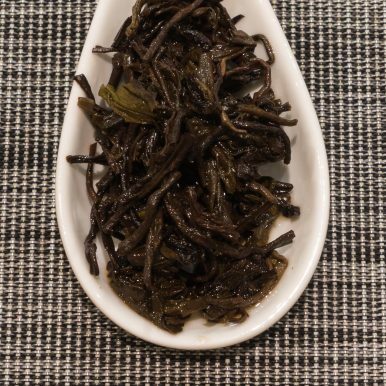 Pu-erh tea undergoes a unique production process, during which the tea leaves are dried and rolled after which they undergo secondary microbial fermentation and oxidation. 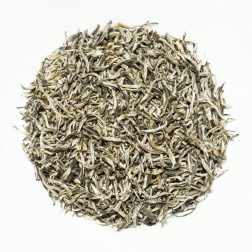 This unique processing sets it apart from black tea and means that pu-erh fits within the separate dark teas category. The tea is most commonly pressed into various shapes (domes, disks, bricks, etc) or can be left loose and the gradual fermentation and maturation process continues further during storage. 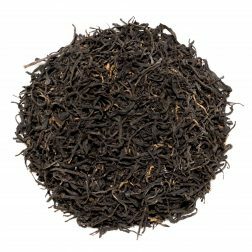 This King Pu-erh has been left in loose leaf form, which has enabled it to age much faster and consequently become much mellower than a compressed pu-erh of similar age. It is also a very high quality select grade of loose pu-erh, hence deserving of the ‘King’ title. This King Pu-erh is classed as a ‘ripe pu-erh’ or ‘Shu Cha’ (熟茶), which means that it has undergone accelerated fermentation in order to speed up the ageing process and improve flavour. 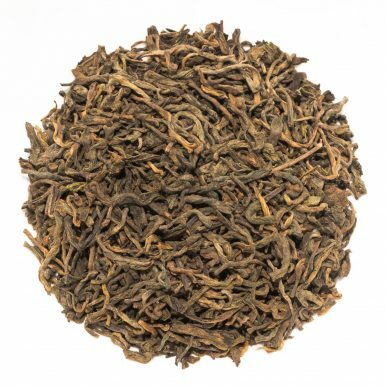 The loose leaves of this King Pu-erh tea have a dark brown and golden appearance with a rusty kind of colouration to them. The brewed liquor is a very dark umber colour with a distinctive slightly earthy aroma. 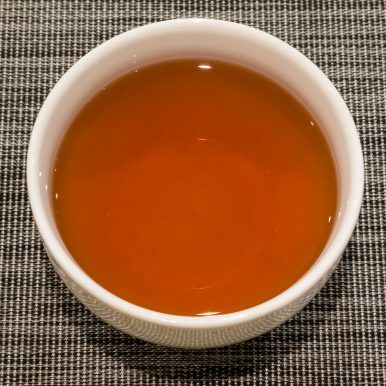 Unlike some other pu-erhs, it does not possesses an overwhelming earthy or marine character, making it an ideal introduction to the world of pu-erh tea. The soothing deep, rich flavour of this King Pu-erh lacks astringency, is earthy and woody in character with pleasant notes of eucalyptus and walnuts. It is best brewed with water at 100°C for around 3-5 minutes, but feel free to experiment with re-brewing the tea leaves more than once. It is best taken without milk or sugar. 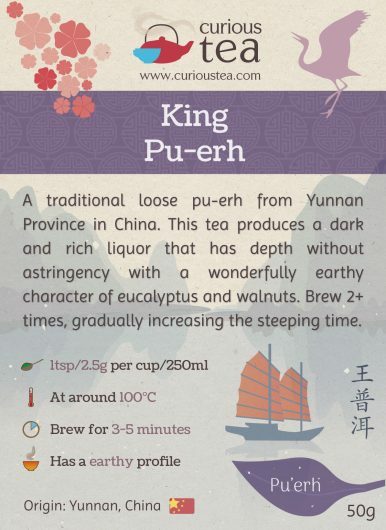 This Chinese King Pu-erh tea was first featured in our February 2016 Curious Tea Subscription Boxes. Mengku Ripe Pu-erh Pearls 2015 produce a dark and rich liquor. The deep flavour has a woody, mineral character with peppery notes of walnuts and molasses. 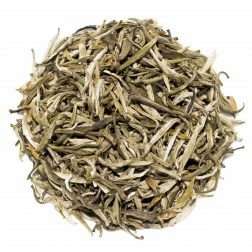 Supreme jasmine scented white tea from Fujian Province. The liquor has a jasmine aroma with a light and crisp character that has floral and citrus notes.